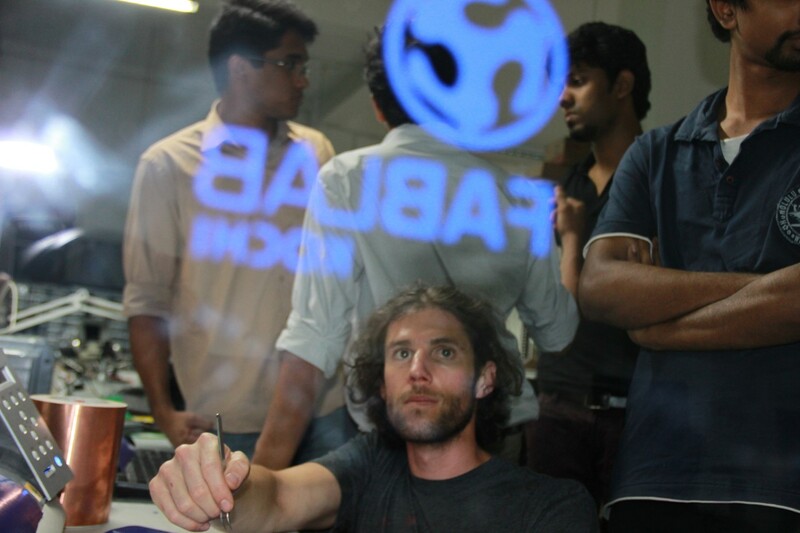 The FabLab Network is an exponentially growing network of maker spaces. Initiated as a public outreach responsibilty to a large NSF grant awareded to the MIT Center for Bits and Atoms, it has become an enabler of technological empowerment and grown to more than 800 individual labs around the world. The Fab Foundation now runs the organization that helps source funding for communities to build their own Fablabs and operates the Fab Academy. 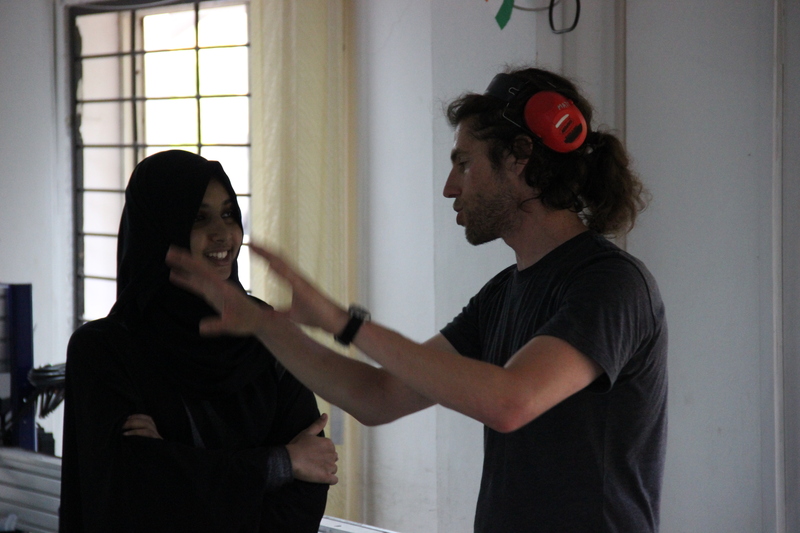 The Fab Academy is a semester long course taught by Neil Gershenfeld and is based on his MIT course MAS 863 How to Make Almost Anything. Though somewhat dogmatic in its approach it is a firehose of learning important prototyping skills. 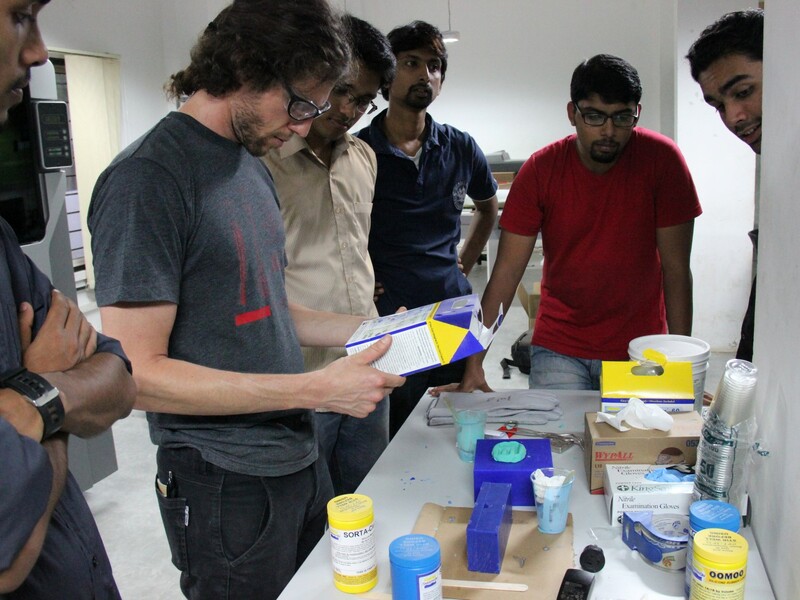 I had the luxury of installing three different Fablabs, and teaching in two others. 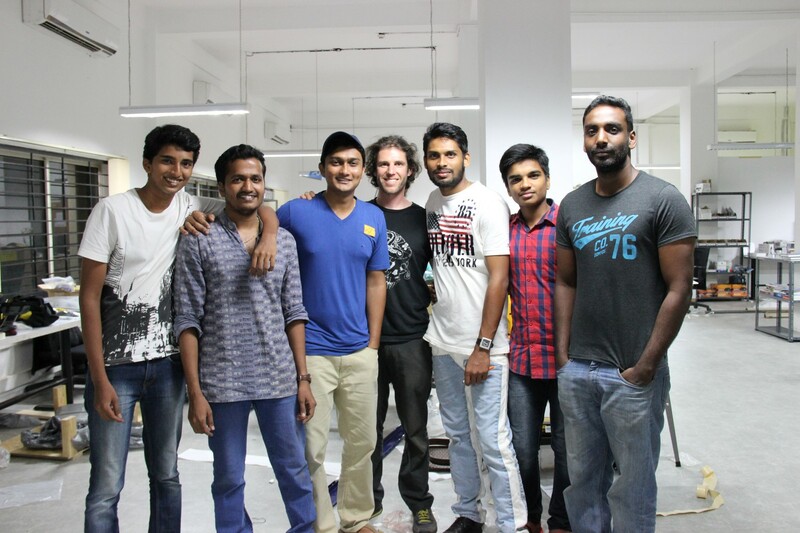 In 2015, I and a couple other colleagues installed two FabLabs in the south western state of Kerala, India, in the cities Trivandrum and Cochin. Then again, in 2016, I also installed a Fablab in Kigali, Rwanda alongside the CEO and a VP of Solidworks. 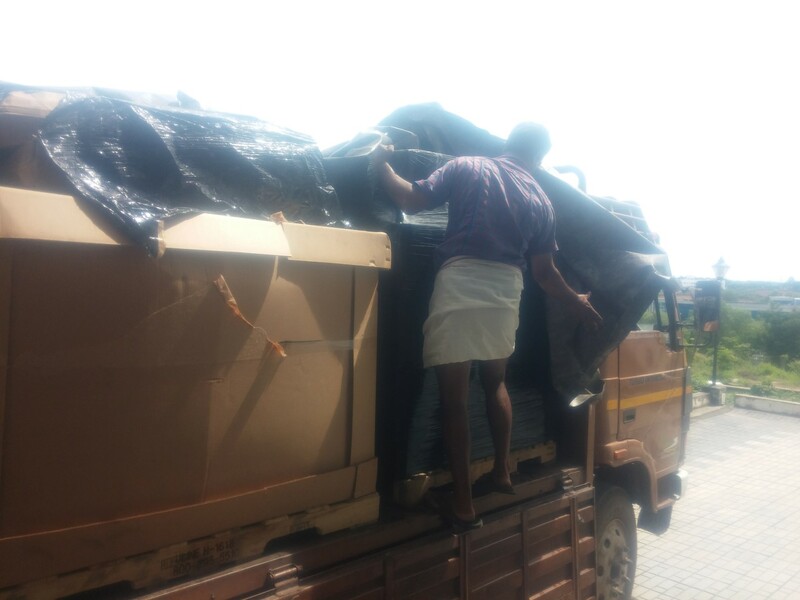 The unboxing of FabLab Cochin. This truck is full of nearly two tons of equipment that in one week gets unboxed, installed, calibrated, and users trained in its use. 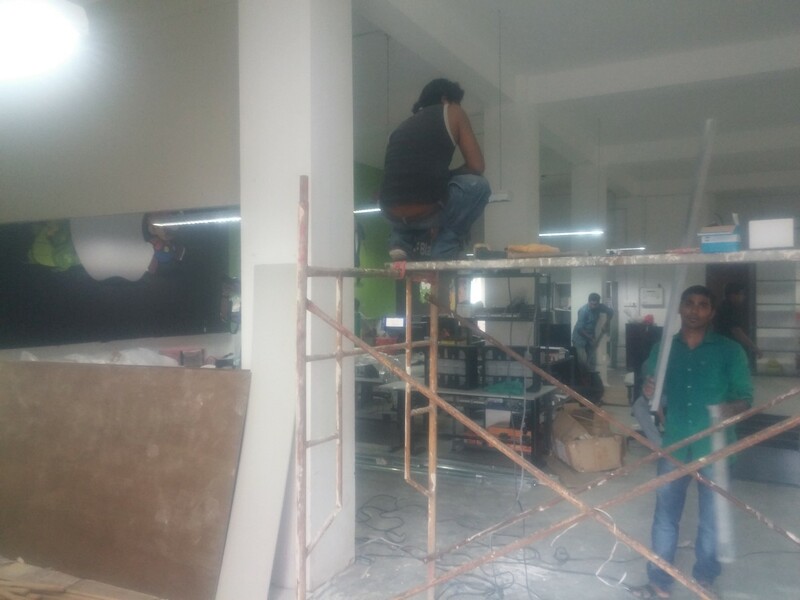 I was actually alone for the first 5 days of the build in Cochin, until Prashant came to help me. 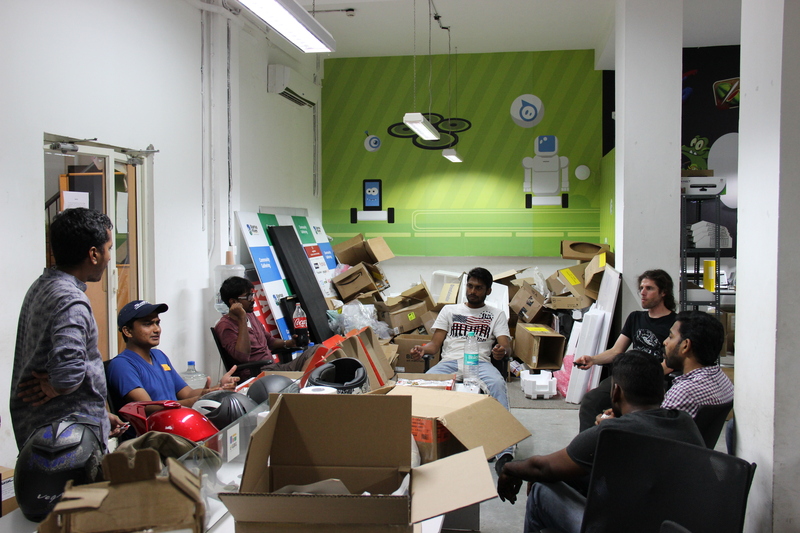 Here we take a break amongst the results of massive unboxing. Something to note is that usually these FabLabs are still under construction when we arrive. Or even, construction begins once we arrive. I'm not sure what it is, but perhaps it's a disbelief that it is actually happening until we show up, but every time it's rather chaotic. The first two days went great, and then massive construciton began to build a glassed-in conference room directly where we are sitting in this image below. I had unpacked nearly everything and was just assembling he large Shopbot, before the construction, and then had to rethink the entire layout. 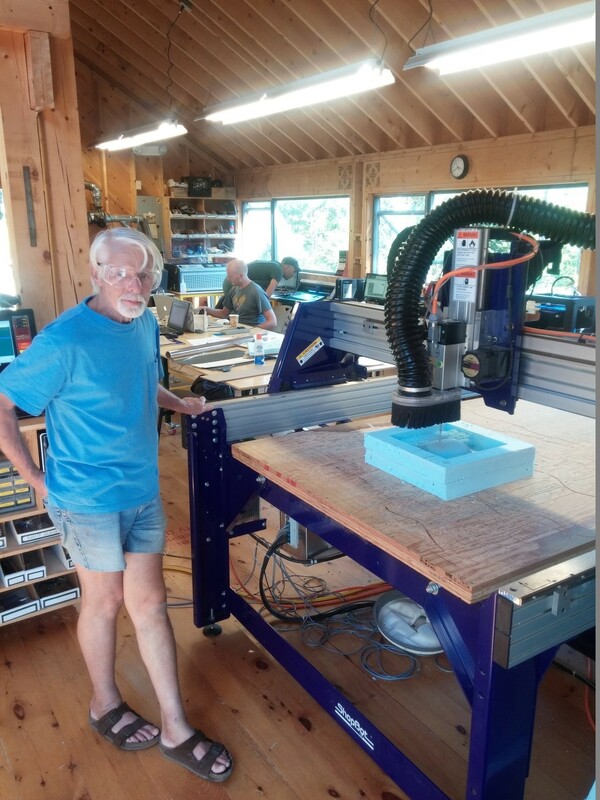 I had some great help getting the big stuff setup, though we had some substantial trouble getting this shopbot up and running. It turns out the electrical ground wasn't a true earth ground and it was causing mysterious electrical issues. After quite a bit of convincing and translating we got an electrician to drive a fresh ground into the earth, run a new circuit and we managed to solve the problem. ... Did I mention it was monsoon season? It's hot, and muggy. Here's the construction... right on time! 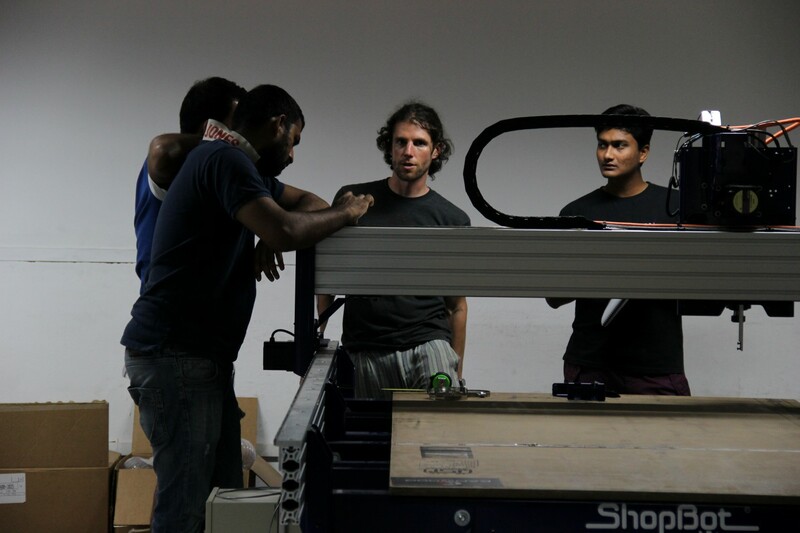 So, it's pretty intense to have 7-10 days to setup an entire makerspace, complete with lasaer cutter, cnc router, 3d printers, vinyl cutter, pcb prototyping cnc, screen printing, molding, casting, etc. But we also do a sprint training where we do example projects on every single process to get the local shop users trained as much as can be done before we leave. So yea, below are some excerpts. I feel a little funny having lots of pics of myself on here, but the team was excited about it, and I was kinda too busy to take many photos. 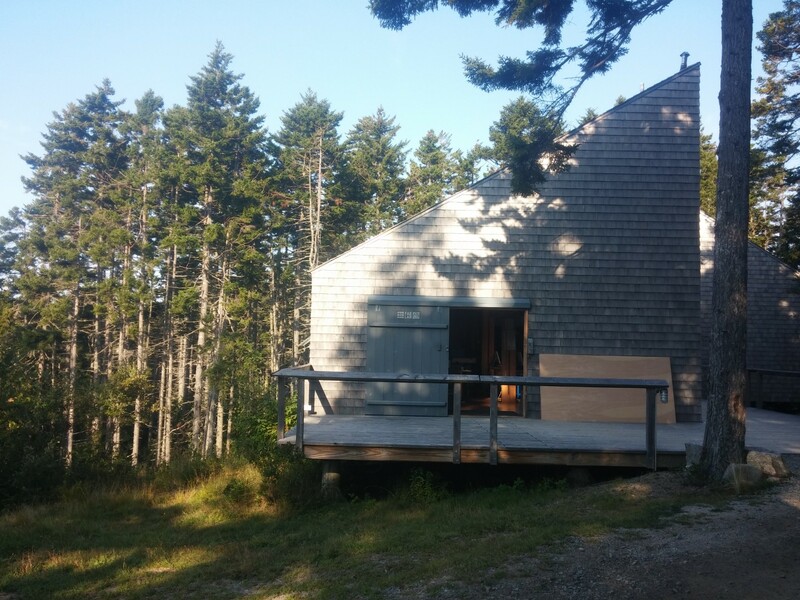 There's also a Fablab in northern Maine at an artist residency program called Haystack Mountain School of Crafts. I've done two summer week long sessions helping teach crafts folk how they might utilize digital fabrication techniques to build upon their craft. Some examples of what resulted are below. Here an artist was interested in replicating a stone he found on a beach and had been carrying in his pocket for multiple decades. We generated a math driven model of the continuous curvature of this pebble, in Rhino, and then scaled it up to larger size. 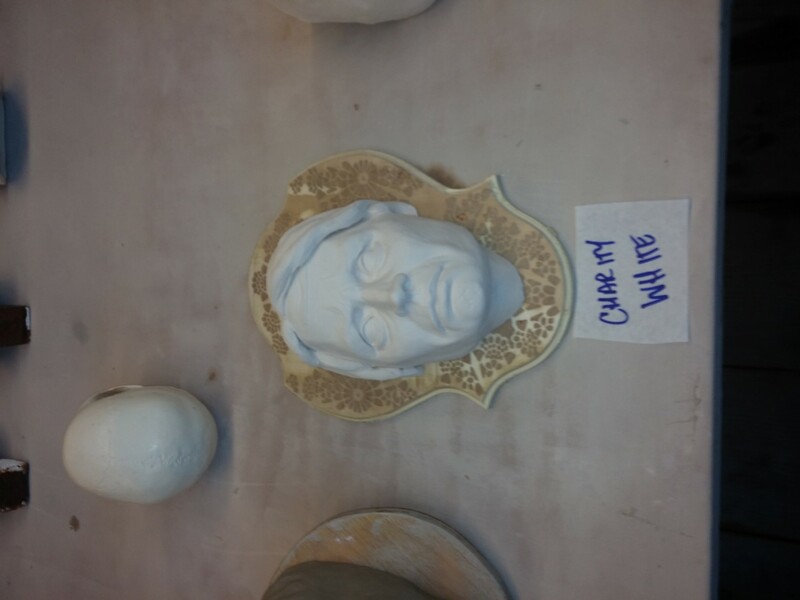 We then machined it out of foam such that he could make a mold of it to use to form clay bowls. Another person wanted to make a doiley backdrop to their simulated taxidermy head. 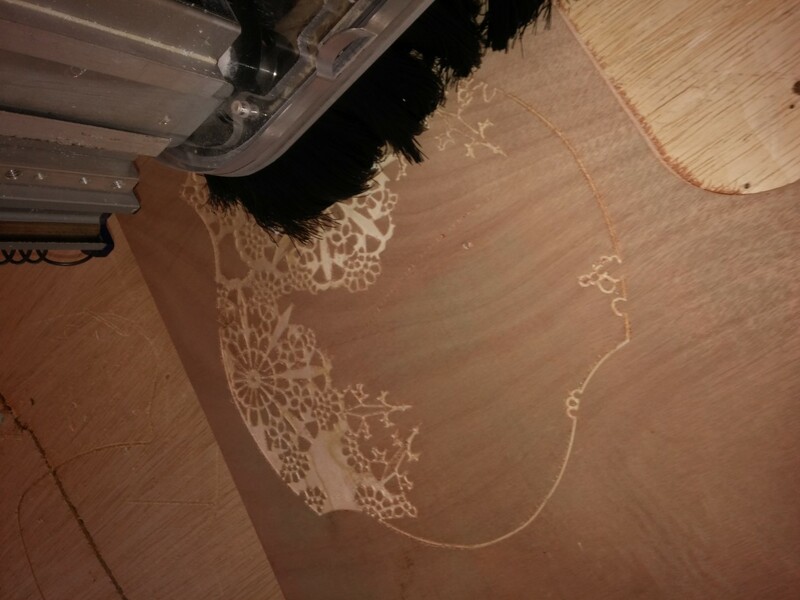 So we generated a doiley pattern in illustrator and again used the cnc router to carve it out of a piece of plywood. Sometimes I do some sample projects while there. Here's the Haystack logo machined out of mdf to be used to stamp thin sheetmetal. Sometimes it gets weird. 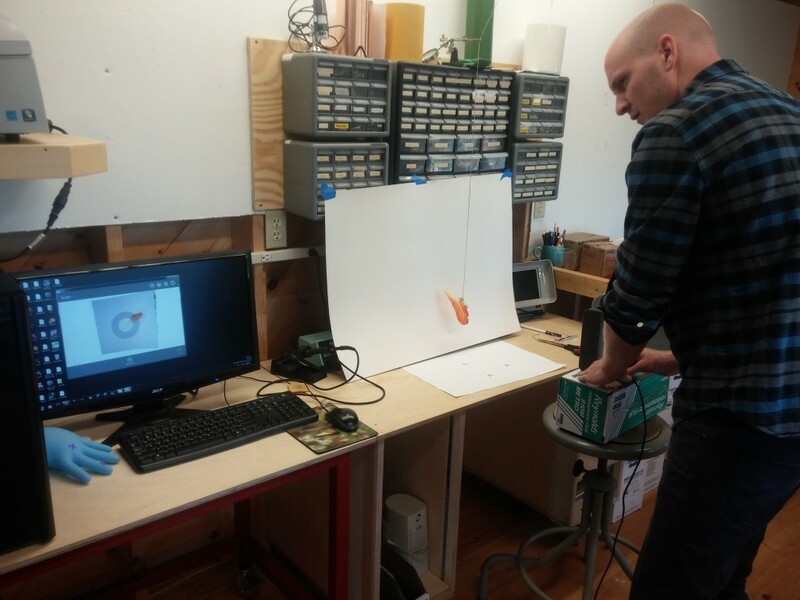 Here James Coleman and I were 3D scanning a dead parakeet that someone had brought. I unfortunatley don't have the finished project images, but it actually turned out rather amazing. We 3d scanned the bird, then sliced it using Autodesk 123, then machined it from plywood on the cnc router, and the artist then painted it and I believe sold it at the final auction. It was horrific, hilarious, and well, art.